It’s Pasta Day at Ayala Center Cebu today. Savor a plate of delicious al dente pasta and picture yourself in the heart of Italy. 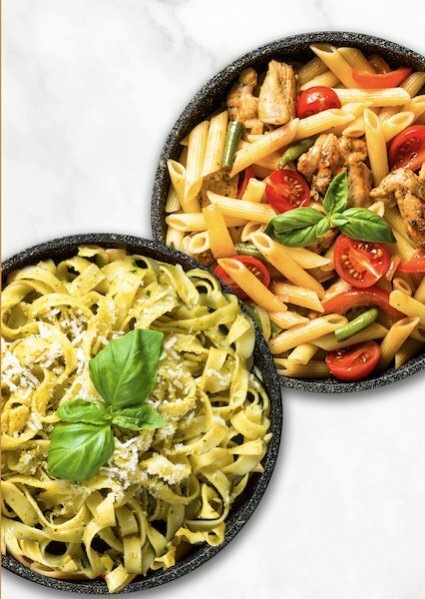 Just come on over, order the featured pasta, and get a complimentary dish at Brique, Chocolatier, New Orleans, or TGI Fridays. Use your credit, debit or prepaid Mastercard for a chance to win a 3D/2N trip for two with deluxe accommodations at Lagen Island or Casa Kalaw in El Nido Palawan, or at Huni Resort in Sicogon, Iloilo. Present to the concierge near Vero Moda a valid credit, debit or prepaid Mastercard transaction slip of at least P1,000 from any participating or specialty restaurant issued from February 8 to December 6, 2019, to receive a raffle coupon. Get two (2) raffle coupons for every transaction made at restaurants participating in the Pasta Day on April 6. For more details and updates on Bon Appetrip, like Ayala Center Cebu on Facebook at www.facebook.com/AyalaCebu, follow @AyalaCenterCebu on Twitter and Instagram or contact 888-3790.